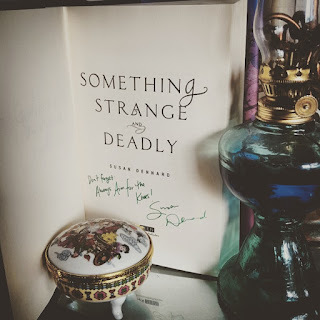 So, some time ago, I accidentally bought an autographed copy of Something Strange and Deadly by Susan Dennard--"accidentally" because I was literally on my way to a signing. Because I am smart. So I bought yet a different copy to get signed and personalized, leaving this copy sad and alone. It's now looking for a good home! Unless you live under a literary rock (just kidding), you've heard of Susan Dennard. Maybe because of Truthwitch, her newest book slated to release in January 2016, which has drawn the tears and blood of thousands. Or maybe because of her brilliant, genre-bending first series. 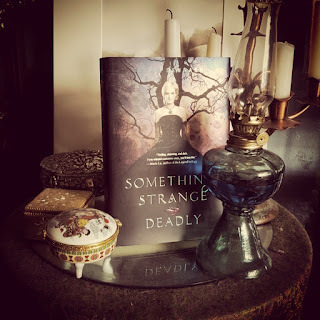 If you're new to the strange and deadly universe, check out why you absolutely want to win this! In short: badass heroine, romance, magic, zombies. This giveaway will run until 11:59 pm on July 30th. This giveaway is open to U.S. residents only, sorry! :( I'm too poor to ship internationally. Look out for upcoming international giveaways!